Prime Minister Nawaz Sharif today kept up his attack on India and warned that Pakistan will have to take “credible deterrent” measures in the face of Indian “arms build-up” and “dangerous military doctrines”. “While refusing dialogue, India is engaged in a major arms build-up, regrettably with the active assistance of several powers. It has adopted dangerous military doctrines. 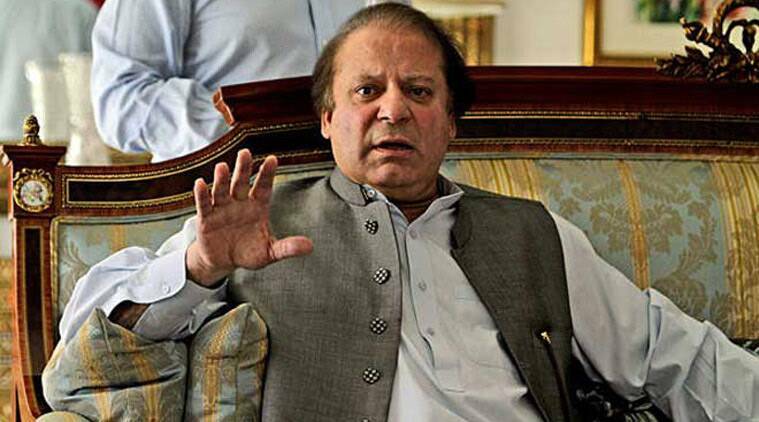 This will compel Pakistan to take several counter measures to preserve credible deterrence,” Sharif said in his address to the US Institute of Peace (USIP), a US Congress top American think-tank. Sharif claimed that after coming to power two-and-a-half years ago, he has made several “sincere efforts” to improve relationship with India. “I accepted his (Prime Minister Narendra Modi’s) invitation to attend his swearing-in ceremony New Delhi,” he said. The momentum this generated was scuttled when India cancelled the NSA-level talks on “flimsy excuse”, he alleged. In his address, Sharif blamed India for narrowing the talks to just one issue of terrorism after his meeting with Modi at Ufa, Russia in July. “The cancellation of NSA-level talks have been followed by increased ceasefire violations by India across the Line of Control (LoC) and the working boundary, and a stream of hostile statements by Indian political and military leadership,” he alleged.